Sometimes drugs make their way into the marketplace that are defectively manufactured, defectively designed, or lack proper warnings. An injury caused by one of these drugs may be the basis for a product liability claim. Approximately 4.5 billion prescriptions are filled in the United States every year. Pharmaceutical drugs are intended to make us feel better. But sometimes, a drug makes its way into the marketplace that’s defective, has unreasonably dangerous side effects, or lacks proper warnings. When bad drugs make their way into people’s medicine cabinets, they can become seriously injured, ill and even die. Legal recourse for individuals injured by pharmaceuticals takes the form of a product liability lawsuit. Let’s take a closer look at pharmaceutical liability in Arizona. Pharmaceutical liability cases (sometimes called “bad drug cases”) are a type of product liability case. Let’s take a closer look at all 3 of these. A defectively manufactured pharmaceutical drug is one that—though properly designed—left the drug maker in a condition other than they intended. In other words, some error (such as contamination) occurred during the manufacturing process that caused the drug to become unsafe. Claims based on defectively designed pharmaceuticals are rare because most unreasonably dangerous drugs aren’t approved by the U.S. Food & Drug Administration (FDA). Nevertheless, innovative drugs can be approved in fewer than 6 months, and some side effects may not be realized until after the drugs are on the market. Enjuris tip: Learn more about the FDA approval process. Arizona courts are particularly strict when it comes to defectively designed pharmaceutical claims. Historically, Arizona has only allowed such claims in cases where the drug is so dangerous that NO doctor would prescribe it to ANY class of patients. A drug’s “marketing” includes the advertisements associated with a drug, as well as the warning label affixed to the drug packaging. To establish that a drug was improperly marketed in Arizona, a plaintiff must prove that the manufacturer had a duty to warn the consumer about a risk and that the failure to do so made the product unreasonably dangerous. For example, if a drug increases the risk of a miscarriage and the manufacturer failed to provide a warning indicating as much, a woman who suffers a miscarriage after taking the drug may be able to sue the manufacturer. However, there’s an important caveat in Arizona. In certain cases, the manufacturer's duty to warn consumers is limited to providing an adequate warning to the prescribing physician who then assumes the duty to pass the necessary information on to the consumer. This is referred to as the learned intermediary doctrine. In other words, if the manufacturer fails to affix a label warning consumers about the increased risk of a miscarriage, but instead informs your prescribing physician about the risk—and your prescribing physician fails to pass along the information—the manufacturer is off the hook (though you may be able to sue the prescribing physician for medical malpractice). Pharmaceutical liability cases are complex and each case has a number of potential defendants. Generally, an attorney will file a lawsuit against all defendants that may have acted improperly and let the defendants argue amongst themselves over who’s ultimately liable to the plaintiff. Manufacturers. Drug manufacturers may be held liable for manufacturing defects, design defects, and improper marketing. Drug manufacturers are generally large companies and the lawsuits against them can result in massive judgments. Testing laboratory. A drug that injures consumers was likely subject to several tests before reaching the marketplace. It’s possible that one of these testing laboratories made a mistake and the drug should have never reached the marketplace. Doctors: It’s possible that a doctor provided inaccurate information about the drug in question. Pharmacy: It’s possible the pharmacists made a mistake by misreading the prescription or simply grabbing the wrong drug from the shelf. In such cases, the pharmacy may have some liability. What elements do you need to prove in a pharmaceutical liability case? A pharmaceutical liability case can be brought under a theory of negligence or strict liability. Typically, a plaintiff will use the theory of strict liability because it’s easier to prove. In most cases, a person must file a pharmaceutical liability case within 2 years of the date from when they were injured. However, if the person was under the age of 18 when the injury occurred, the clock won’t start running until the person turns 18. 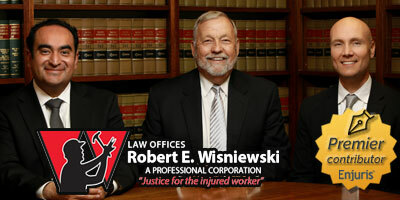 Enjuris tip: When a government or public employee causes an injury, the process of filing a lawsuit is different. For starters, there’s a much shorter time frame to file a lawsuit and a notice of claim must be provided to the appropriate agency (within 180 days). For these reasons, pharmaceutical liability claims involving the government or a public employee should be brought to the attention of an attorney immediately. What damages are available in a pharmaceutical liability case? The product that allegedly caused the harm was designed, manufactured, packaged, labeled, or sold according to the terms of an approval of a government agency. The product complied with all Arizona statutes, rules and regulations. Punitive damages are rarely available in Arizona pharmaceutical liability cases. Pharmaceutical liability cases can be incredibly complex. It’s recommended that you speak to an experienced pharmaceutical liability attorney in Arizona to fully understand your options.